No more gas guzzling, no emissions, no noise pollution. The iconic Jeepney has come of age. No more gas guzzling, no more harmful emissions, no more noise pollution. 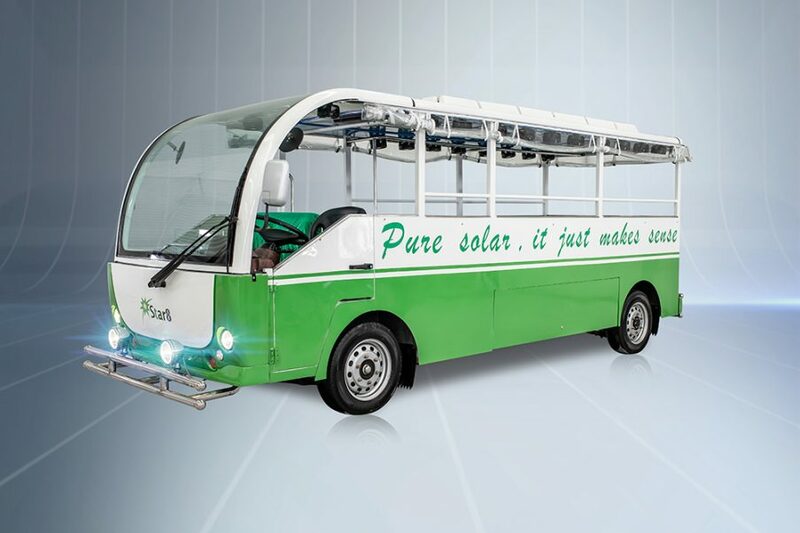 Star 8 have introduced the Solar Jeepney to critical acclaim in its heartland, Manila Philippines. Seating 20 adults in comfort and style this model has already caught the eye of several other environmentally pro active governments around the world.